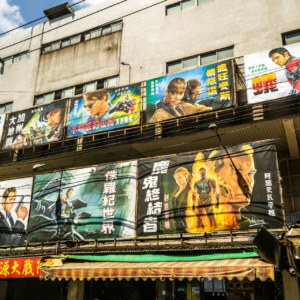 Hand-painted movies posters outside Chin Men Theater, Tainan. 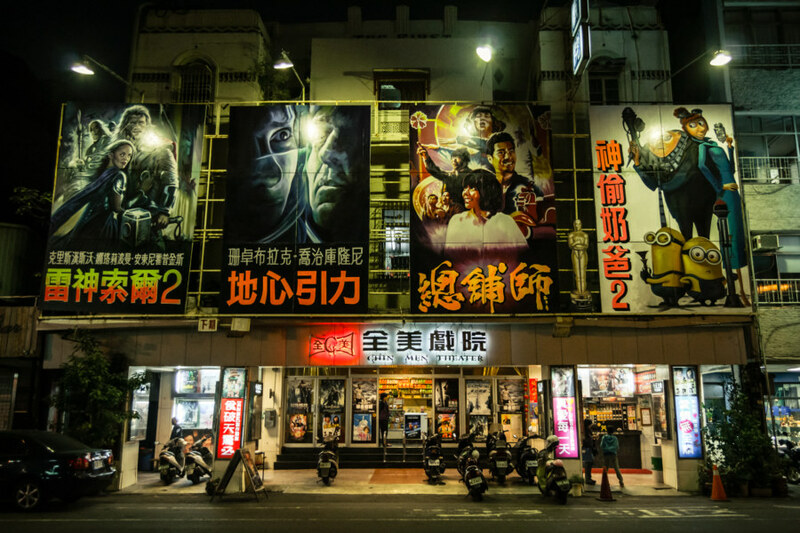 Chin Men Theater 全美戲院 (pinyin: Quánměi Xìyuàn) is a second-run movie theater in Tainan 台南 famous for its hand-painted billboards. 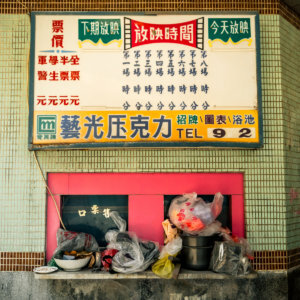 These nostalgic oil paintings are the work of local artist Yen Chen Fa 顏振發 (pinyin: Yán Zhènfā), a 40 year veteran of the dying trade profiled in the New York Post and the China Post. 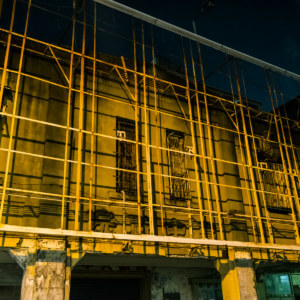 This is the same theater director Ang Lee used to frequent while attending high school in Tainan. 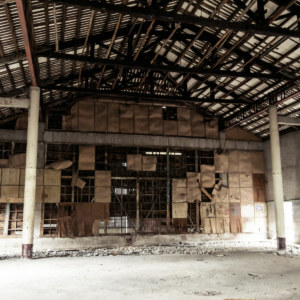 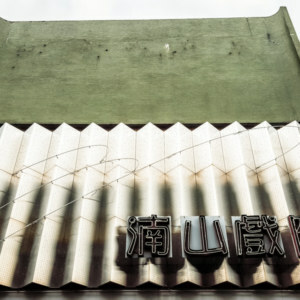 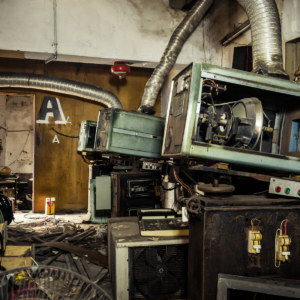 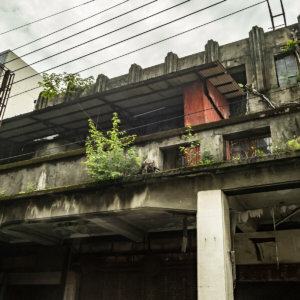 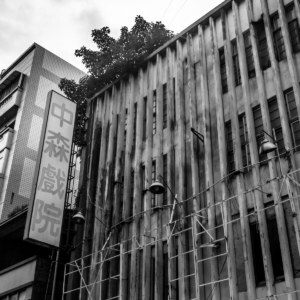 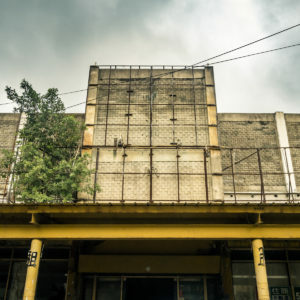 To read much more deeply into the nostalgic history of this old theater check out this article in Taiwan Panorama. 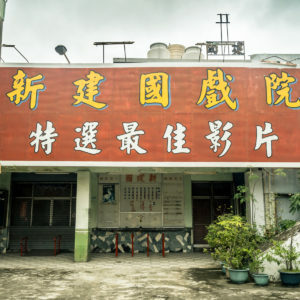 For more insight into the art of hand-painted movie posters check out my original post about Zhongyuan Grand Theater 中源大戲院.